Last weekend marked, not only another successful Page Parkes Agent Review, but also the TWENTIETH year of leading industry professionals traveling to Houston, Texas, to scout our very own models and actors!! 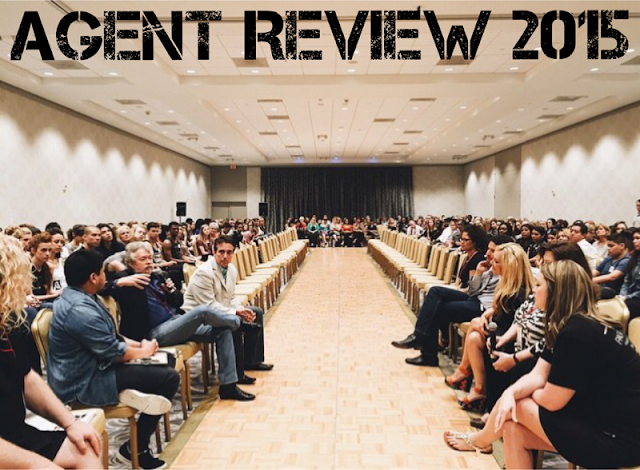 This exclusive event was bigger and better than ever, with our models and actors receiving the most callbacks in Agent Review’s twenty-year history!! We could not be more proud of our team for the hundreds of hours that were dedicated to executing such an incredible event. We are also extremely impressed with the actors and models who worked so hard to prepare their auditions for agencies and casting directors from across the globe. Saturday of the event dawned bright and early, and nerves were running high. The halls of the Double Tree hotel were clustered with actors ranging in age from 6 to 60, rehearsing their monologues, and awaiting their chance to wow the agents...and, boy, did they deliver!! The models patiently awaited their turn to strut their stuff on the runway, as the talented hair and make-up team transformed them into edger rockers that would make even Kurt Cobain proud! Saturday drew to a close, completing a successful day of auditions. Sunday arrived with anticipations high, as the participants eagerly received their callbacks! 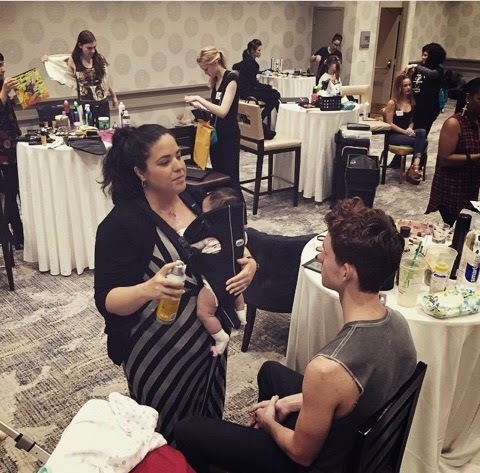 Excitement permeated the air as the models and actors discovered who was seeking their talent. After the callbacks were received, the models and actors had the opportunity to talk with the agents who were blown away by their monologues, runway walks, headshots, and portfolios! What event is complete without a photo-booth?? Of course, our Vice President Tabitha, and Agency Director Erik, absolutely killed it...we think they missed their calling as rock-stars! 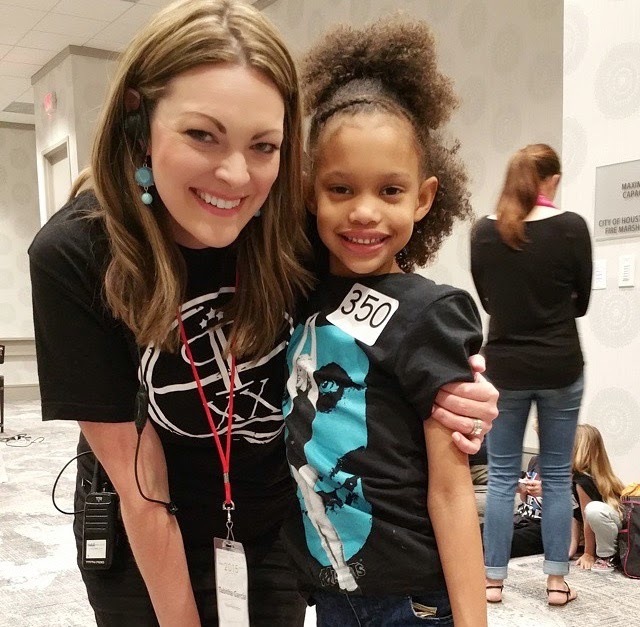 As callbacks ended, and our twentieth Agent Review was concluded, we could not have been prouder of our models, actors, parents, Page Parkes Team, and of course, the reason all of this is possible, Page Parkes herself. 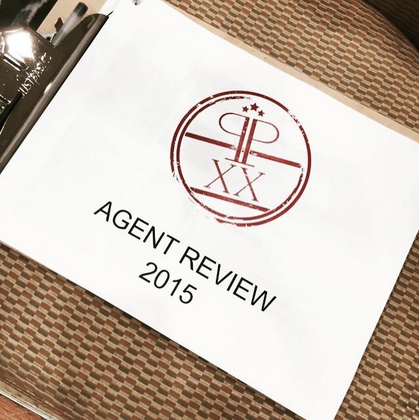 If you missed out on Agent Review 2015, don't worry! Talk to one of our Career Advisors today, and find out how you can attend Agent Review 2016!!! When you hear Page Parkes, you automatically think of all the beautiful models and incredible actors whose careers Page has launched, but did you know that Page has recently started working with a few select musicians as well!? Let me introduce you to the talented singer/musician, Zac Kellogg! Zac grew up frequenting his uncle’s recording studio, right outside the wonderful city of Dallas, and that was where it all began. He says, "My uncle would be in the middle of recording sessions and my cousins and I would be running around the studio like kids in a candy store." He then went on to lead the youth band at his church, where he discovered his great love for performing. Zac is highly influenced musically by Josh Ritter, Ryan Adams, and John Mayer. He spoke of hoping some day to have the opportunity to sit down over a cup of coffee and "pick their brains". While Zac dreams of meeting these famous musicians, he already has one well-known gal who is a huge admirer of his music! Page Parkes alumni, Shantel VanSanten, who starred in the fan-favorite CW show One Tree Hill, is one of Zac's biggest fans! Zac spoke about having Shantel's support, saying, "It’s amazing having someone SO successful and SO good at what they do support my music. It definitely fuels my creative flames to want to keep pushing myself to work harder." He then went on to talk about how much Page herself has benefited him by saying, "Working under Page’s wing has been amazing for both my career and for the development of my musicianship. She is such a genuinely wonderful person and has taught me so much about the ins and outs of the industry and how to work along side others." Make sure to explore Zac's official website HERE, where you can listen to some of his beautiful and moving songs, and follow him on Instagram HERE. Of course, you will want to go hear his music live, too; his next performance will be May 22nd in McKinney, Texas, where Zac will be opening for Jamestown Revival! Check out the event HERE, and follow us for all of the latest and greatest news not only on Zac Kellogg, but also on all of our Page Parkes stars! 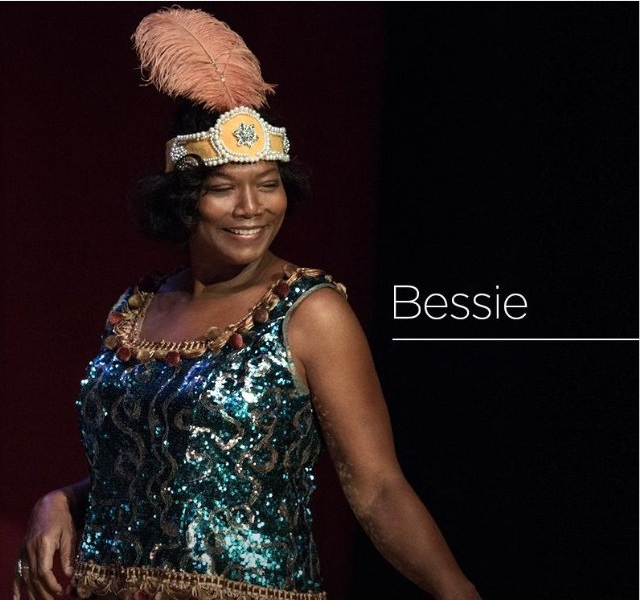 We cannot wait to watch Queen Latifah's Bessie! Based on the true story of legendary, blues singer Bessie Smith, who rose to stardom during the 1920's and 30's, the drama is currently scheduled for a May 16th release on HBO! You can check out the trailer HERE. The début cannot come soon enough for us, because guess who landed the highly-coveted role of Bessie (Latifah) when she was a child?! 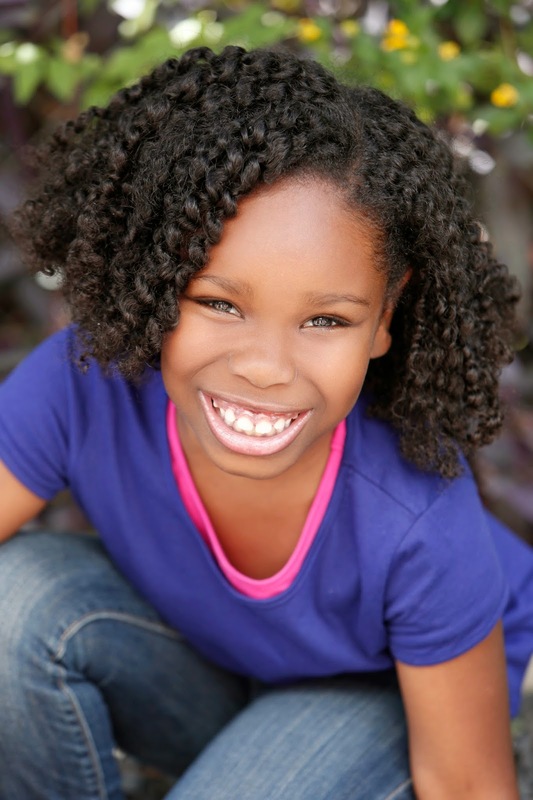 Page Parkes actress Kamryn Johnson! We cannot think of anyone better suited to play the role than our adorable Kamryn, whom you may recognize from her part in Left Behind alongside Nicolas Cage!! Ms. Johnson looked absolutely precious at the premiere of Bessie. She was seriously working that darling printed dress, stockings, and ballet flats! Kamryn with fellow Bessie actor, Tory Kittles! Keep an eye out for our pint-sized star, Kamryn...big things are ahead for this little one! 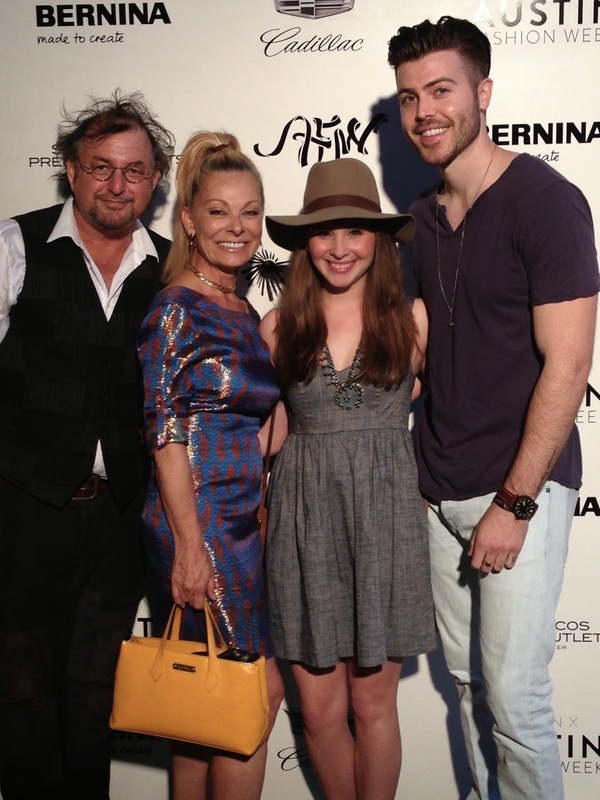 We were so proud to join forces with Austin Fashion Week this year and be their model partner! 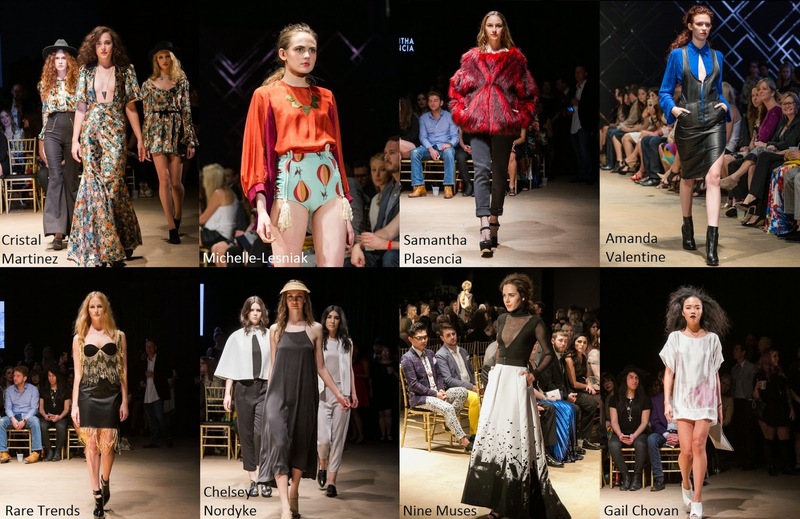 So, for this week’s Fashion Friday, we are reminiscing about the glorious AFW! The lights, the cameras, the fashion...the entire week was nothing short of spectacular. 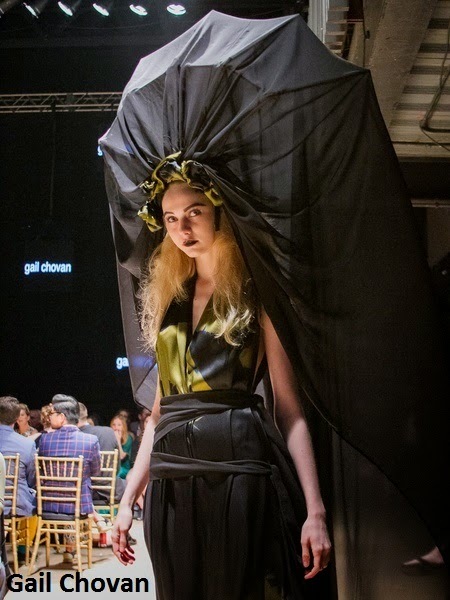 Of course, how could an event packed with garments designed by incredible artists such as Project Runway's Anthony Ryan Auld, Gail Chovan, Cristal Martinez, and worn by our stunning Page Parkes models be anything short of spectacular?!? Recently, we had the immense pleasure of chatting with the man behind the entire event...Matt Swinney! When you first developed the concept of Austin Fashion Week, did you have any idea it would become the largest fashion industry event in Texas? MATT: I knew there was potential to develop something great. With high quality event production, I knew we could offer something that hadn’t been offered in our market or neighboring markets before. If you could travel back and impart one piece of wisdom to your younger self, what would that be? MATT: I don’t know that I’d really impart any wisdom honestly. I truly believe that successes and failures come from experience. I don’t think there’s a way to fast forward to the good parts. I’m certainly smarter today than I was when I was younger, but if my current self could tell my younger self something important, I’m not sure my younger self would listen anyway! You founded Austin Fashion Week six years ago. How do you continually stay inspired, and successfully come back each year with bigger and better events? 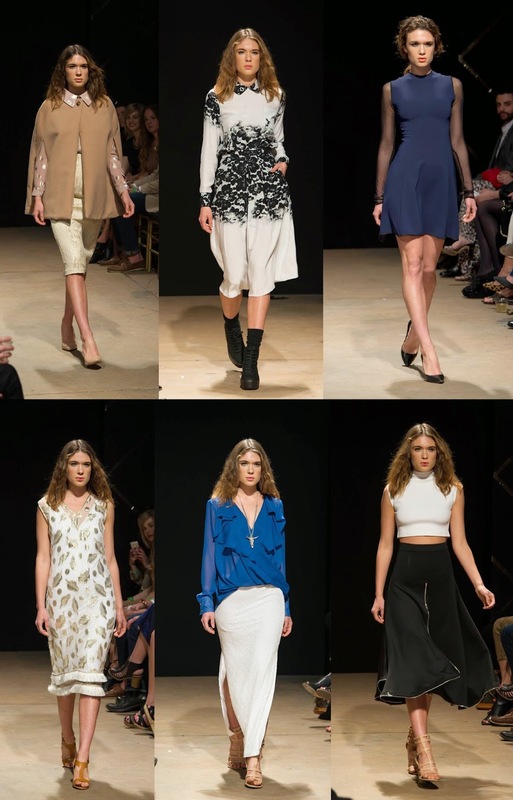 MATT: When I see designers like Isabella Rose and Mysterious by NPN grow and flourish, it’s inspiring to forge ahead. In addition, viewing new collections by seasoned designers like Gail Chovan, makes it all worthwhile. I also appreciate a sense of discovery- like Allison Mitchell’s cool handbags and I’m eager to share with people who attend AFW. What is your favorite aspect of planning these shows? MATT: The submission process is really fun. Seeing new designers from as close as Dallas to as far as New York or Australia who want to show in Texas markets. I always like to ask one fun and kind of funky question. When planning events, do you prefer a good old fashion day planner, or do you use your smart phone calendar? MATT: I finally converted about a year ago to iCal for everything. But it was a hard transition. My wife Kara still uses a day planner with paper and a pencil (so she can erase) and I look at it longingly from time to time. I do still take notes in an old-fashioned notebook and my to-do list is often on a random sheet of paper. We loved getting a glimpse inside the brilliant and creative mind of Mr. Swinney. Thanks to Matt, Texas has found a place on the fashion map with Austin Fashion Week, giving our models the opportunity to walk for some very talented artists. Just look at how stunning Shelby Bullard looks in these gorgeous garments! Of course Page, looking as beautiful as ever, was in attendance to support all of her Page Parkes Models! Ms. Parkes was accompanied by Richard Reens, Jessye Padilla, and the incredibly-talented Zac Kellog! 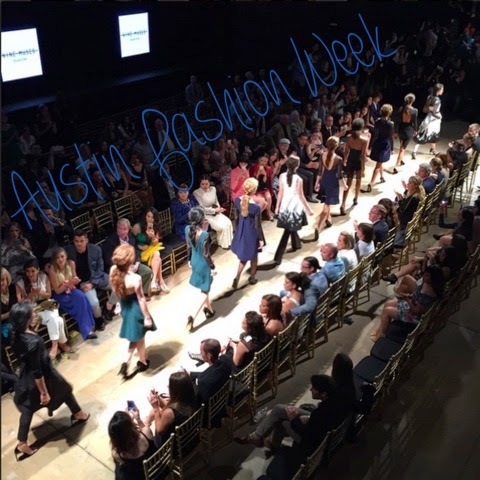 If you missed the 2015 Austin Fashion Week, don’t worry, time is flying by and next year’s event will be here before you know it! Make sure to follow us, and stay updated on all of our exciting Page Parkes news! Page Parkes is starting May off with a bang! The latest issue of PaperCity Magazine was just published, and who is gracing the cover? None other than Page Parkes model Katie Moore! The 5'11" blonde beauty looked absolutely stunning in this decadent art influenced shoot! The inspiration behind this spread is the private art collection of Juan Abello and Anna Gamazo. The display currently resides at the Southern Methodist University's Meadows Museum in Dallas, and contains many rare pieces by artists such as Salvador Dali, El Greco, and Juan de Flanders. What photo-shoot would be complete without a couple of behind the scenes shots of our beautiful Katie? These photos are courtesy of PaperCity Magazine! Make sure to grab your very own copy of PaperCity Magazine, or check it out online HERE. Make sure to follow us for all the latest and greatest Page Parkes news!